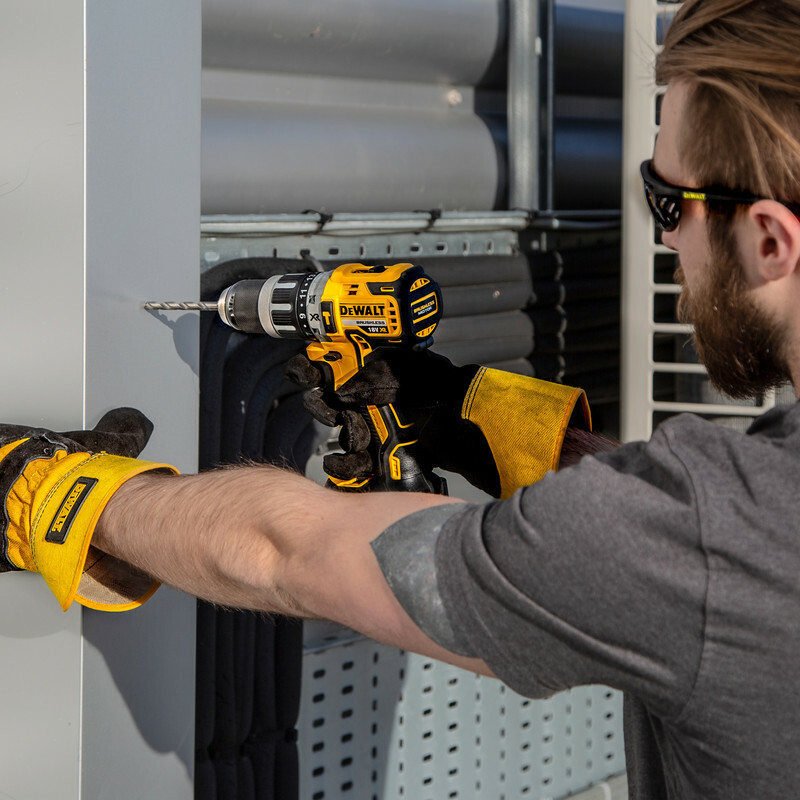 The most powerful 2-speed combi drill from DeWalt. Supplied with multi-voltage charger, TSTAK kit box, steel belt clip and tough magnetic bit holder. 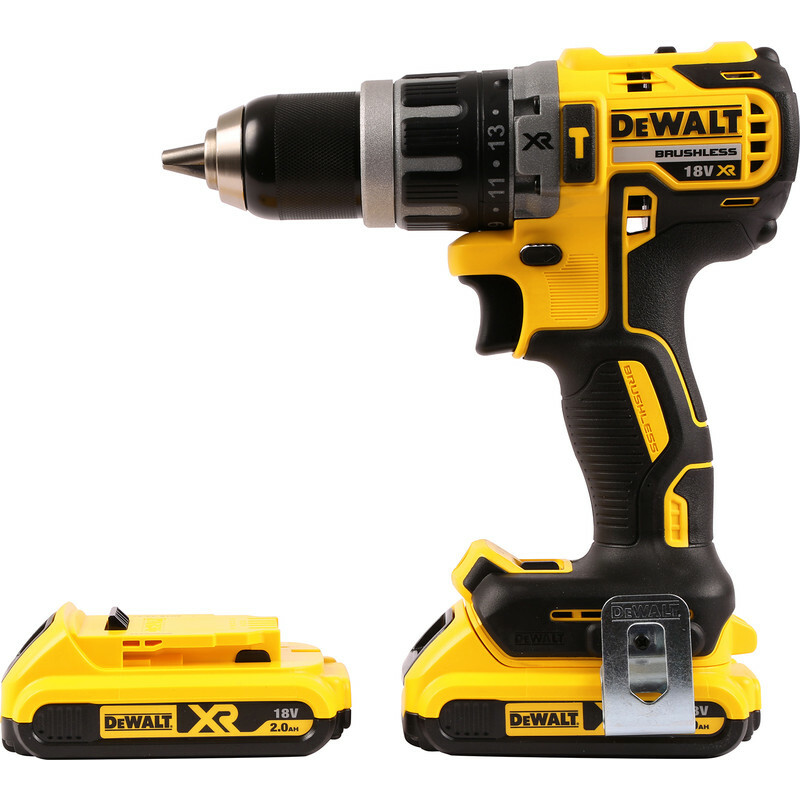 Powerful heavy duty ultra compact drill. The Brushless motor delivers reduced friction and better runtime which enables more power to be delivered during application. This results in less wear and an increase in longevity of the tool. 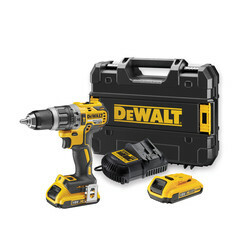 The 2 speed motor with 15 adjustable torque controls is perfect for screwdriving into a variety of materials. 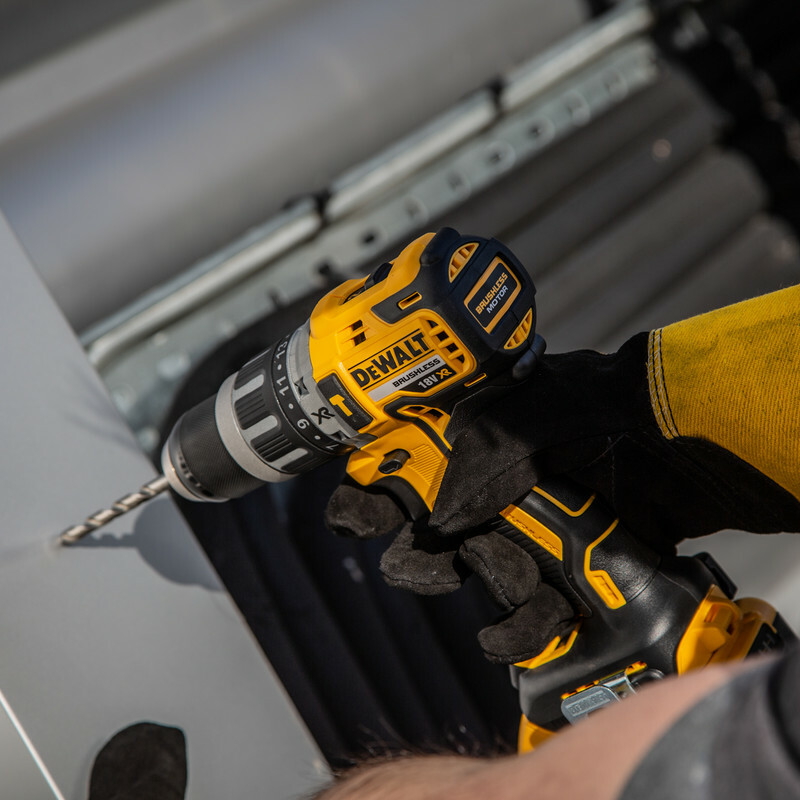 Maximum drilling capacity: wood 40mm, metal 13mm and masonry 13mm. 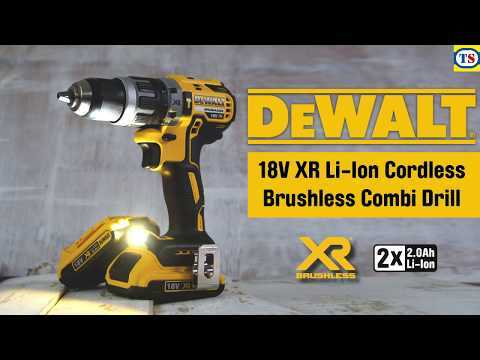 DeWalt DCD796 18V XR Li-Ion Cordless Brushless Combi Drill 2 x 2.0Ah is rated 4.9 out of 5 by 13. Rated 5 out of 5 by MalcB from Great product. Excellent service. Excellent drill. Great quality and price. Rated 5 out of 5 by JonRS5 from Great Product & Great Price Couldn’t be happier, should have replaced my old drill ages ago and now keep finding jobs to do about the house! Rated 5 out of 5 by Wazza from Nice kit at a great price I've always wanted one of these. It's probably more capable than I'll ever use it for but it's easy to handle, has good features and two batteries is a real bonus. Used it to put fence panels up and it performed well, Torque settings came in useful. Hope to use it for a major house refurbishment. The integral light seemed weird but I've already found it useful. Rated 5 out of 5 by Jasperbambam from Awesome Quality I purchased this from the Peterborough Toolstation store, was considering this and and another brand but not sure on which to go with, the Peterborough staff, were friendly, polite and listened to what i was aiming to do.. 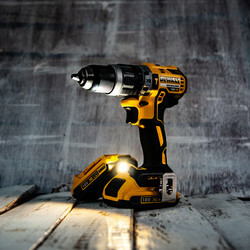 So glad i purchased this, it was on offer at the time, but I could not be happier, the batteries last a long time, and yet to use the second battery despite the large job I am undertaking, simple to use and very adjustable to get the job done right. Rated 5 out of 5 by Platinum Plumber from A little beast of a drill! I don’t usually leave reviews but after a couple of weeks use I need to let people know how good this product is! 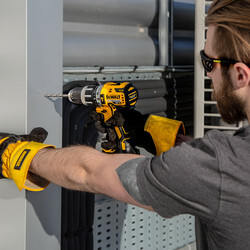 I didn’t realise toolstation has a full range of Dewalt but was delighted to find they do as I Already have some XR Tools. 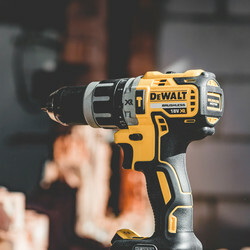 This was the same price as the drill I bought last year but this is smaller, lighter and is the most powerful drill I have ever bought, it’s been an absolute beast since I bought it two weeks ago and couldn’t be happier.